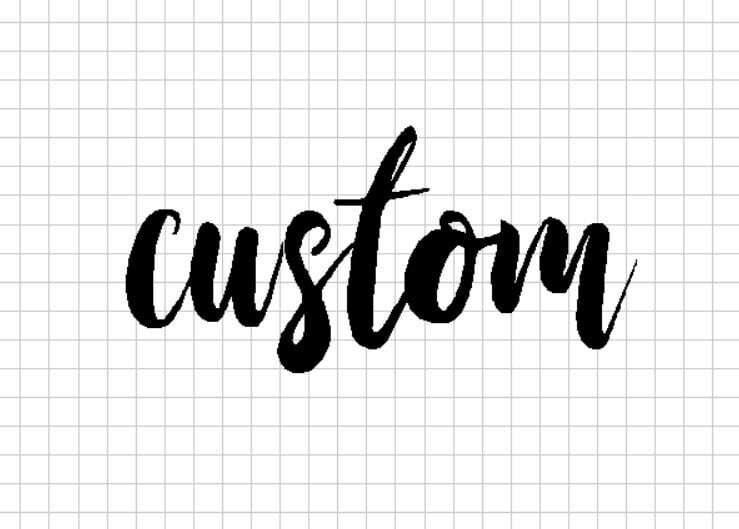 Custom select your own text raw steel script sign. Script raw steel sign is is ready to paint. This listing is for any ONE customized word you like. Simply enter your word in the notes at checkout. For multiple words or phrases select the quantity equal to the total number of words. Size depends on the number and shape of letters in your text. Standard Size is maximum 9" tall or 21" wide. The metal script word art is cut from steel about as thick as a nickel. Large size is 30" wide or 13" tall and cut from thicker steel to prevent bending. Price of the large sign includes upgraded shipping for "oversized" items. Signs are made to order. They will be ready to ship in 2 weeks or less. Love our custom business sign! Will definitely be buying more. Thank you guys! great product! and quick service!